Did you know that there was a time when gambling was banned completely in Canada under the Criminal Code? Thankfully, the climate has changed dramatically since then. Today, you are free to wager on sports online under the regulations of your province. Eager to dive in, but not sure where to begin? In this guide, we are going to introduce you to some of the top sportsbooks for Canadian bettors. We will also give you some tips and advice to use when evaluating online betting sites so you can be sure they are legit. Then we will tell you a bit more about depositing and withdrawing, and go over some popular sports you can wager on. We will wrap up by providing you with an overview of Canada’s legal framework for regulating sports betting activities across the provinces. Let’s go ahead and get started. Below you can view some of the best sportsbooks for Canadian bettors. We vet our recommendations based on a number of factors including odds, selection of sports and bet types, bonuses, deposit and withdrawal methods, fees, reliability, transparency, and quality of customer service. If there is one name which Canadians everywhere are familiar with in the world of online gambling, it is Bodog. This website was founded by the iconic Canadian entrepreneur, Calvin Ayre. The site was operational by 2000, and has aimed its services at Canadian gamblers ever since. That means that on Bodog, you will find the sports and bet types which Canadians love, and you can enjoy taking advantage of odds and promotions which are exclusively available to Canadians. Customers from other countries are not accepted, so take advantage of the opportunity to bet on one of the most solid and reputable sportsbooks online. BetOnline has been in operation for more than a decade. During that time, they have consistently impressed us with their reliability and their fabulous features. You can bet on a huge array of sports, and take advantage of some awesome promotions. But where BetOnline really shines in our opinion is with deposits and withdrawals. Flexible banking options combined with ridiculously fast withdrawals makes them one of our top go-to choices for Canadian sports betting. If you’re in search of a sports betting site with excellent lines, Bookmaker tends to be very competitive. Indeed, a lot of the sharps flock to this site because they know where the value is at. Bookmaker also pays out quickly and reliably so you can cash out your winnings with ease. In terms of reputation, Bookmaker in some respects sets the standard for online betting sites. The sportsbook has been in existence for more than 20 years, so their high standing is pretty much set in stone by this point. Intertops is another site which has been in the business for a very long time. In fact, we first started partnering with them back around the turn of the millennium! Affordable withdrawals, excellent bet variety, fantastic promotions, and dependable customer service all combine to make Intertops one of the best betting sites Canadians can choose. Sportsbetting.ag’s reputation in the past was not great. In fact, prior to 2012, we couldn’t have recommended it because the business was struggling. But all of that changed after BetOnline purchased it. As you would expect given its own stellar reputation, BetOnline took immediate steps to remedy the issues with the site, and completely turned it around. Sportsbetting.ag now has it all in terms of sports to wager on, types of bets, and an excellent array of payment methods accepted for deposits and withdrawals. You can expect fast and friendly service any time you contact the support team through chat, phone or email. Bodog constantly ranks #1 on various lists of ours. See why AND claim a 100% Sportsbook bonus by clicking here. If you aren’t in Canada but still found yourself here anyway, we still have you covered with all of our other sportsbook reviews! We conducted extensive research to bring you our list of recommended Canadian sportsbooks, and many of our staff members have long experience betting on these sites. We feel confident that if you pick any of the sites we have suggested, you will have a great experience. Even so, we always recommend that you conduct your own research as well to make sure you feel confident proceeding with sports betting online. How can be sure you have found a legitimate betting site? Inconsistent information on the website or unclear Terms and Conditions. Sites which have a lot of loading errors and other glitches. Websites which do not feature any sort of encryption or security protocols to protect your data. Betting sites which consistently earn bad reviews. Those which have nothing but 100% glowing reviews should also be questioned (the reviews may all have been purchased). Exorbitant fees (high fees do not necessarily mean a site is a scam, but obviously you want to avoid them where possible). Dodgy bonuses and promotions. Be wary of “too good to be true” offers. “Free money” always has strings attached. If a site is offering a massive bonus with no rollover, something may be up. Sites with customer service which is absentee, un-knowledgeable, overly pushy, or simply unhelpful. The company’s background information is easy to find, and when you follow up, you can confirm that the site’s offices and licensing match what you read on the about page. The website itself is well-designed, easy to navigate, loads reliably, and is not plagued by bugs or missing pages. The Terms and Conditions are clearly laid out and do not contradict other information on the site. All fees are openly declared and are not exorbitant. Security measures are taken to protect your data and funds. The promotions have reasonable strings attached, and/or you have the option to reject them. Reviews for the site are consistently good, but not unrealistic. When you contact customer service, you reach them quickly and they provide you with comprehensive answers to your questions. If you are totally new to gambling online, you might feel leery of trusting any site, but with a little common sense and patience, you can usually weed out the scammers. Quite honestly, there are a lot of sites out there which just do not offer the level of quality which you should demand from a sportsbook, whether they are outright scams or simply sub-par betting sites. That is why so few sportsbooks made it to our list. We were determined only to bring you the best of the best. You now have a basic understanding of the regulations surrounding gambling in Canada, and you know what exciting opportunities await you online. Ready to begin? 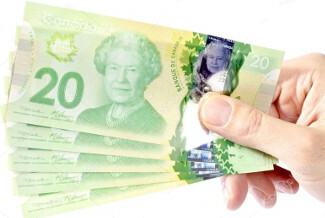 Just visit any of our recommended Canadian sportsbooks using the links we have provided. These will take you right to the registration pages. It’s your money. Make sure to read all of our advice and tips before handing it over! Some betting sites offer only a few deposit methods, while others may offer many. This is something to check into before you sign up at any particular site. Some sites (but not all) require you to use the same method for your withdrawals as you used to make your deposits. Sometimes a method which is available for deposits will not be for withdrawals, or vice versa (in this case of course you do not have to use the same method for both). Sportsbooks often charge fees for withdrawals (and sometimes deposits). You should find out what these fees are in advance for each method. Make sure you are comfortable with them before you proceed. There are minimum and maximum amounts you can deposit and withdraw. These are different on every site, and may vary from method to method. Processing times can also vary greatly. The more informed you are about deposits and withdrawals before registering on a site and making your first deposit, the better. That way you can plan ahead and keep your fees to a minimum and your deposits and withdrawals on schedule. That’s the face of a man who just won a huge wager. Along with these popular sports, you will find plenty of other sports you can bet on. You can place straight bets, accumulator bets, prop bets, futures bets, and more. You also can wager live in-play on some sportsbooks online. Quite a few sports betting sites operate online casinos as well. You can access the slots and table games from the same site and use the same account you already registered if you want to play. What Types of Bonuses and Promotions Can You Get? These often are match bonuses where you make a deposit and the sportsbook gives you a bonus which adds up to the same amount. There will be a rollover requirement you need to meet. This type of bonus is given to returning customers who add funds to their accounts. Top-up bonuses are often match bonuses as well. These promotions let you make a wager without staking your own money. You may encounter other types of promotional offers as well. In every case, make sure to read the bonus terms before accepting. 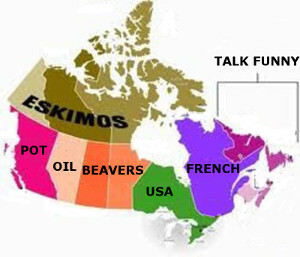 This link will actually help you on the way to learning the rules in your part of the Great White North. Now you know some Canadian sportsbooks which are worth registering at, and you know a bit more about what you can expect in terms of sports to bet on, deposits and withdrawals, bonuses and more. But you may still have some questions about how sports betting is regulated in Canada and what laws you need to follow. Let’s get into this legal aspect now. There was a time when Canada was very unfriendly to the gambling industry. Indeed, under the 1892 version of the Criminal Code, sports betting was completely banned along with casino gambling. Thankfully, the draconian policies of the late 19th century did not survive for long. During the early 1900s, the government began to realize that there might be some use for gambling if it was done in the name of charity, so they began to allow limited raffles and bingo games. Gradually, the ban against gambling was chipped away. Canadians soon gained the right to bet on horse races. Later, they would be able to participate in public lotteries. The biggest change happened in 1985. That year, the federal government decided to leave it up to the provinces to decide how to regulate gambling. By that point, there was much more open-mindedness about gambling. So under the new rules, the industry flourished. Canada became home to dozens of land-based casinos hosting tens of thousands of slot machines and table games. Naturally, when web-based gambling was introduced, that also took off in Canada. Many Canadians still enjoy flocking to brick-and-mortar gambling venues, but many more prefer the convenience and choice which comes with playing online. 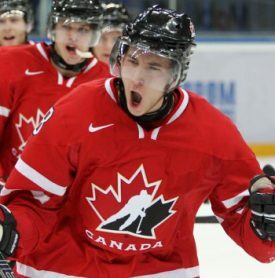 So both sports betting sites and online casinos have large Canadian customer bases. Each province has its own set of regulations. You will want to look up the exact rules for the province where you live before you start betting on sports. There is still a major restriction in the Criminal Code which affects sports bettors. Under this restriction, you may not bet on a single outcome. This odd rule forces you to take wagers which encompass bets on two or more outcomes at a time. That essentially pushes you into higher risk bets (i.e. accumulators), so you will need to put extra care into planning your wagers. Hopefully the restriction mentioned above will eventually be removed. Make sure you keep up with updates on gambling restrictions at the federal and province levels so that you are current with all developments. 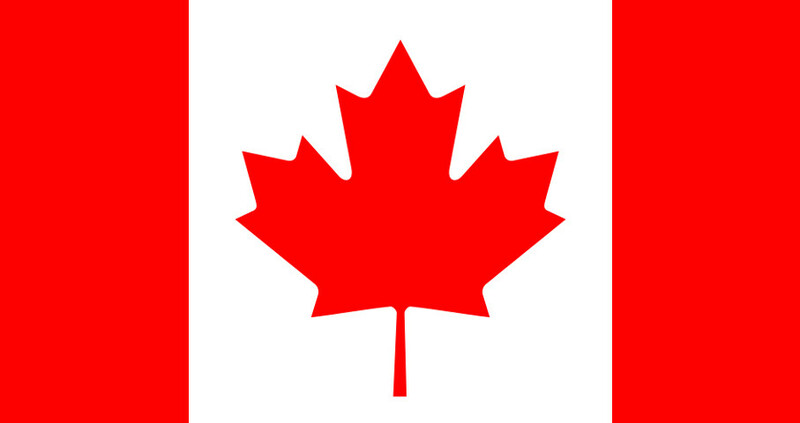 We recommend that you sign up for more than one Canadian betting site. This will make it possible for you to shop the odds and take advantage of the best value every time. After you have signed up and made your initial deposits, you can start betting on sports in Canada! New to Live Betting? Read This! Any Interest in Betting As A Full Time Career?